In the United States, academic institutions and programs use accreditation to ensure that they are meeting established standards of educational quality. Accreditation is a voluntary process of self-reflection and peer review that helps institutions to identify opportunities and challenges throughout the university. There are two types of accreditation, institutional and specialized. Institutional accreditors, often referred to as “regional” accreditors, examine a college or university as a whole. 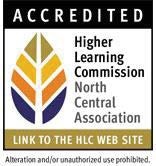 Purdue University has been accredited by the Higher Learning Commission of the North Central Association of Colleges and Schools (HLC-NCA) since 1913. Our most recent accreditation visit was in March of 2010. The HLC’s new Open Pathway for maintaining accreditation seeks to offer greater value to institutions by focusing on both an assurance of quality and an engagement in continuous improvement. Two Assurance Reviews will take place in the ten-year cycle. One in Year 4 through an online reporting system and one in Year 10 that couples the online assurance report with a campus visit. In addition, our campus will complete a Quality Initiative between Years 5 and 9 focused on institutional innovation and improvement suited to our needs and circumstances. Specialized accreditors evaluate specific educational programs. Professional accreditors, such as those for business, engineering, and other technical areas, fall into this category. For a list of programs at Purdue University with specialized accreditation, click here. If you wish to send an email message to a trustee, please direct it to trustees@purdue.edu. Please visit the University Senate to learn about the Faculty Senate Chair, meetings and minutes, committees and bylaws. For Current Members, visit https://www.purdue.edu/senate/members/index.php. He was elected as the 49th governor of Indiana in 2004, in his first bid for any elected office. He was reelected in 2008 to a second and final term, receiving more votes than any candidate for any public office in the state’s history. Please visit the Office of the President for more information. The provost works closely with the deans of all colleges and schools to ensure effective collaboration and inspire new areas of scholarship. He also has direct responsibility for academic support units including diversity and inclusion, enrollment management, financial affairs, and the libraries. The provost collaborates with the chief financial officer and has responsibility for the allocation of financial resources in accordance with academic priorities. The provost also communicates on academic and faculty matters with a wide variety of internal and external constituencies, including the Board of Trustees. For more information, visit Office of the Provost. An education record is any record that is directly related to a student and maintained by the university. A student has the right of access to these records. Since the letter of recommendation would be part of the student’s education record, the student has the right to read it - unless he/she has waived that right of access. Call 765-496-0509 or email ferpa@purdue.edu for FERPA assistance. A Purdue University Student Invoice is made up of various Tuition & Fees, which make up the total tuition for the University. The University breaks down specific tuition costs in order to be transparent as to where specific funds are directed and how they are utilized. Below are estimated costs for the 2018-2019 academic year (two semesters of full-time enrollment). Part-time students can find costs by credit hour see Office of the Bursar. + Tuition will remain frozen at current rates through the 2018-19 academic year. Flight - Individual courses in this program have additional fees; please refer to the Bursar website or contact the department for specific flight course fees. If you enroll in classes but must withdraw before the semester starts, Purdue will refund your tuition/fees. After classes begin, refunds are reduced proportionally. Students who have certain types of federal financial aid are subject to other refund schedules. The awarding for a posthumous degree by Purdue University requires that the deceased student will have completed: At least 85% of credit hour requirements; and most of the requirements for the major. For awarding of a posthumous degree requiring a thesis, the following additional provisions will apply:The student must have completed the research to the extent that a thesis or one or more articles in lieu of a thesis can be prepared.The advisory committee must approve the research and results, including a thesis or article(s), and recommend the granting of the degree. Baccalaureate, Associate, and Professional Degrees - A recommendation from the school faculty must be endorsed by the dean of the school.The dean of the school and/or chancellor of the campus, as appropriate, must submit the recommendation to the Provost for transmittal to the President The names of the candidates approved by the President will be submitted to the Board of Trustees for final action. Graduate Degrees - A recommendation must be submitted only after fulfillment of the requirements specified above to the head of the department (school) by the major processor.The head of the department (school) must submit a request to the Provost and Dean of the Graduate School. The head of the department may choose to recommend awarding a non-thesis instead of a thesis degree.The Graduate Council must endorse a recommendation from the Provost and Dean of the Graduate School.The endorsement must be submitted to the Provost for transmittal to the President. The names of candidates approved by the President will be submitted to the Board of Trustees for final action. No additional fees will be assessed for the awarding of posthumous degrees.